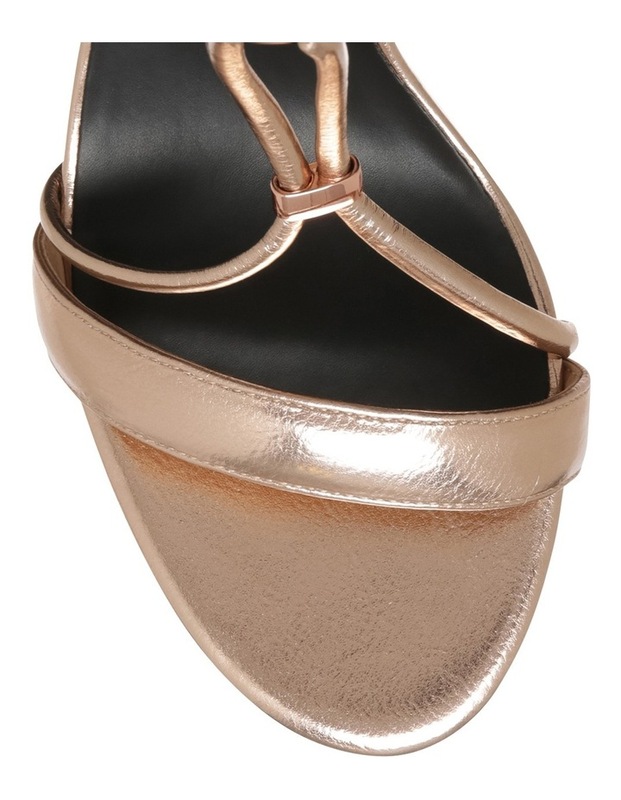 Domina Rose Gold Leather Sandal. High heel pocket back sandal with tubular looped t-bar detail. Back zip and elastic at ankle strap for extra fitting. Materials: Non-leather upper, lining and outsole. 80mm heel height.